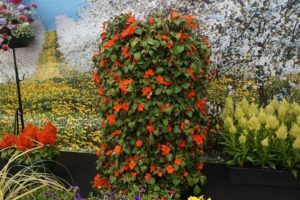 Home Grown Plants: Yorkshire Show celebrates 160 years! To celebrate the 160th Great Yorkshire Show, Yorkshire Agricultural Society (YAS), decided to go back to where it all began. In the 1800’s the Craven Heifer became a national phenomenon and toured the county, to this day it remains the largest cow ever shown in England. Countryfile presenter Anita Rani is to take to the catwalk at this year’s Show, swapping her wellies for something a little more stylish. See Bradford-born Anita, who has fronted Watchdog, and a host of local television personalities at 2:30pm on Tuesday July 10th. Two unique historical projects will celebrate the Show’s 160th anniversary. 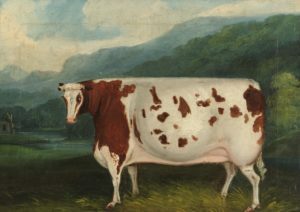 The Yorkshire Film Archive and Washburn Heritage Centre have both created special displays to let visitors see both farming down the years. Lizzie Jones is set to make history when she becomes the first singer to perform in the Main Ring. Farmers at the Show will have the chance to win a tractor for a year thanks to The Russell Group of Malton, who have been linked to the show for generations. Midlands based contract grower of bedding plants. They grow pack and pot bedding directly to order for contract retail customers. Newey Avoncross supplies over 30 million plants per year. Newey Avoncross operates over two sites located in the Vale of Evesham, an area famous for its horticultural production, its micro climate, light levels and ease of accessibility. This makes it a perfect location for volume production. Newey Avoncross produces over 30 million plants per year over a 20 acre area of production. The product range is kept to 30 different varieties in order to maximise volume and quality. Growing takes place under strict quality management systems to ensure all product is ready on time and in full, critical to contract operations. Pot and pack bedding is produced from both seed propagation and cutting raised material. 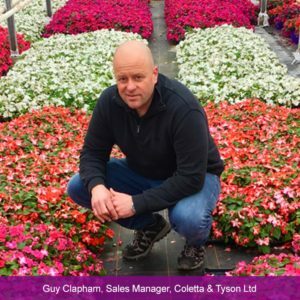 With over 25 years experience in growing, Newey Avoncross is renowned within the industry as a high quality producer of bedding plants. Investment in technology ensures the production maximises output and minimises impact on the environment. Our growers between them have years of experience and knowledge, they care for and have a passion for horticulture. 15 full time staff work tirelessly in the field and glasshouses maintaining the health of the plants and overseeing the development and distribution of the crops. Newey Avoncross is committed to the production of the highest quality bedding plants. We continue to invest in our people, our technologies and our efforts to extend our social and sustainability responsibilities. The summery party fun for your garden. In spring, this variety features a highly attractive, apricot-coloured bloom, which is the perfect complement to the trend for pastel hues. In summer, the variety develops a vivid red eye, creating a glorious contrast between the dark centre of the flower and its lighter-coloured edge. Walberton Nursery (founded in 1973 by David Tristram), Binsted Nursery (founded in 1978 by Rosemary Tristram) and Fleurie Nursery (founded in 1986 by Chris and Martine Tellwright), nestled between the South Downs and the southern coastal plain in West Sussex. All three businesses are now led by Mike Tristram with Managing Director Marc Jones and Directors Martin Emmett and Steve Carter. Together with Fleurie Nursery, Star Plants and Toddington Nurseries, they form The Farplants Group – a cooperative of businesses supplying over 2000 varieties container grown hardy perennial plants, worth more than £50 million retail. Walberton, Binsted and Fleurie Nurseries operate across almost a dozen sites in the local area and employ 115 permanent members of staff, who with seasonal helpers, grow 7.5 million plants a year to sell through Farplants to garden retailers up and down the country. Click on the links below to read more about the plants and how the businesses began, or scroll down to view the Tristram family history. 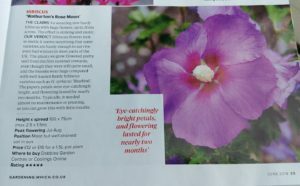 In the June 2018 edition of Gardening Which? Hibiscus Walberton’s® syriacus ‘Rose Moon’ received a top rating of 5 stars, with an excellent write up. Gardening Which? were particularly impressed with ‘Rose Moon’s hardiness, exotic, long lasting flowers and low maintenance. Of particular appeal with this UK bred variety are its huge flowers measuring up to 20cm across. 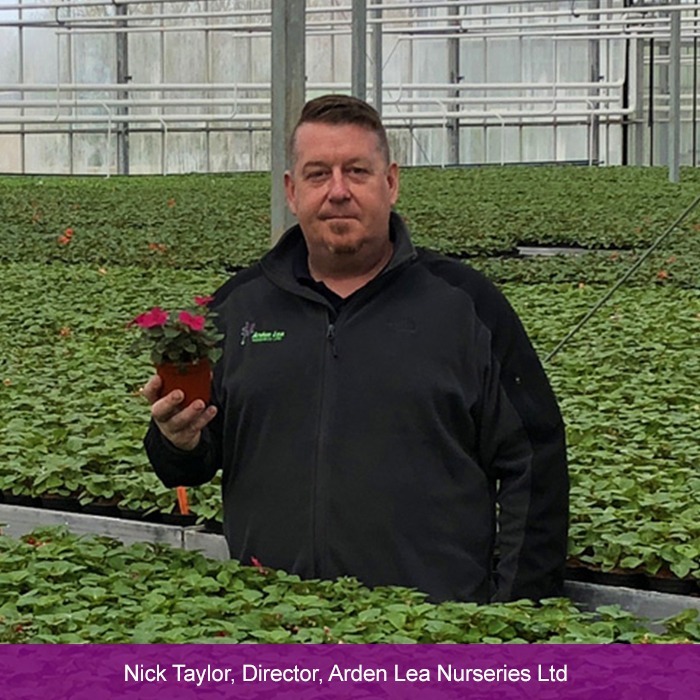 Bred by nursery owner David Tristram, and launched in the UK in 2015, Walberton Nursery produces around 6,000 1.5 litre plants per year for the Garden Centre Market. Hibiscus Rose Moon prize winning breeding. 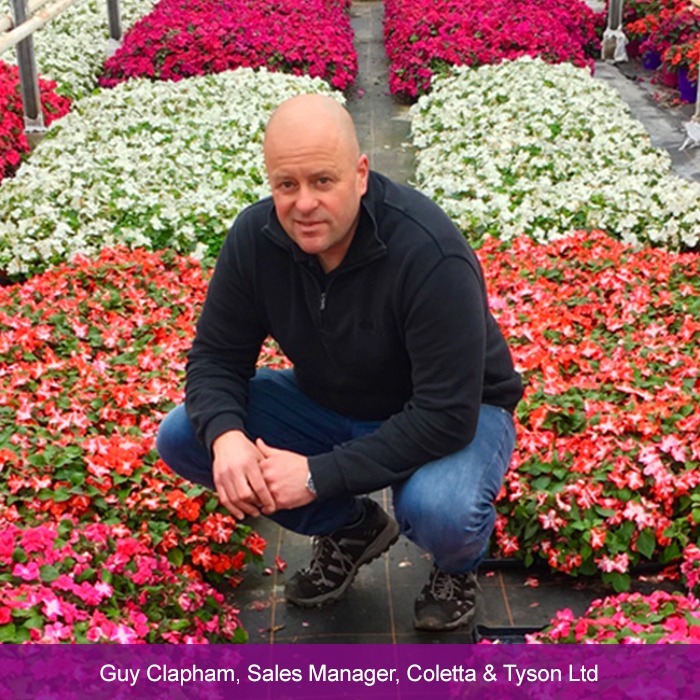 Coletta & Tyson is one of Europe’s largest independent specialist growers of ornamental plants located in East Yorkshire, UK. Our nurseries cover over 400acres (162 ha). Run by brothers, John and Paul Tyson, the company focusses on providing our services to the UK horticultural market and are proud to supply many well respected retail organisations. We have the capacity to transplant and handle over two million plants per day and currently grow and sell over 100 million ornamental plants a year. For over seventy years we have developed our specialist skills within the horticultural industry and across all areas of our business. This allows us to deliver high levels of innovation, service, quality and understanding through our experienced and qualified team of managers and support staff. In recent years the company has invested into world-leading automation technology to compliment its traditional horticultural facilities. 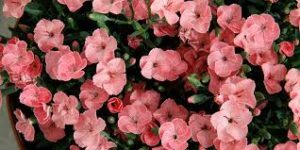 We grow over a thousand different varieties of ornamental plants across an extensive range of horticultural crops including alpines, herbaceous perennials, shrubs, climbing plants, pot and pack bedding, trees, fruit and vegetable plants, forced bulbs and houseplants. ‘Imara’ Impatiens were also supplied by Arden Lea Nurseries. ‘Imara’ Impatiens are robust in the garden and last many months. The gardener’s favourite is back! 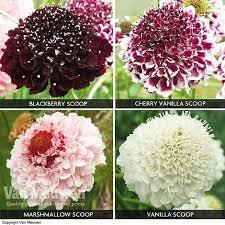 Imara® is bringing back one of the most popular plants with consumers. Sun or shade, rain or shine, it is guaranteed to flourish in home gardens. This reliability and proven garden performance make Imara® a top choice for consumers. Grower trials with Guy at Coletta & Tyson. The CFC is here to help the UK cut flower industry as a whole to perform trials and assessment of new varieties; it is run “by the industry, for the industry”. Its strategic direction is driven by a Management Group made up of key individuals who represent the whole industry cross-section from grower through to supermarkets. The Cut Flower Centre (CFC) is a project funded by AHDB Horticulture for the benefit of the UK cut flower industry. The current location of the CFC is Rookery Farm at Holbeach St Johns. It takes over from the successful work developed at the Kirton Research Centre from 2006 to 2008. The facilities consist of about 600 sq.m of outdoor plots, a 7.9m x 38.1m single span Haygrove Spanish tunnel and a 22.7 x 38.1m triple span Pro Tech Spanish tunnel. The CFC was initially funded jointly by EU Leader funds and the AHDB Horticulture but is now funded primarily through the AHDB Horticulture Bulbs and Outdoor Flowers (BOF) Panel and the AHDB Horticulture Protected Ornamentals (PO) panel. We are also very grateful to Waitrose for a one off payment in 2009 that enabled the CFC to move to its current location at Rookery Farm. These new varieties are on trial with The Cut Flower Centre and we are very pleased to be able to show them on the Great Yorkshire Show thanks to cooperation with Lyndon Mason who has grown and supplied the flowers to us this week. Hills was founded in 1920 by George Hill who developed a small market garden in Epsom, Surrey, selling product through his local market stall. After the end of the Second World War, George’s sons, Claude, Godfrey and Norman joined the business.During this period a florist shop was opened in Epsom town centre and the market stall continued to flourish. Glasshouses were built and a wide range of crops were grown (including Cut Flower Chrysanthemums, Daffodils, Tulips, Perennials, Bedding and Tomatoes). Claude’s sons, Peter, Kevin and Guy, relocated the business to Chichester in 1972 and here it has expanded to include over 5 acres of ornamental pot plant production with the latest 2 acre production area completed in 2007. Now on the 4th generation of Hills, Hill Brothers has an excellent understanding of the UK market. Since the 1980’s Hills has been supplying direct to the UK supermarkets. 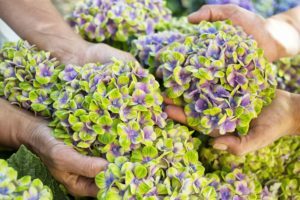 Hills continues to work in partnership with a number of specialist local growers to maintain and expand the current range of products; which include Betulia, Hydrangea (seen here this week), Lavender, Cyclamen, Fuchsias and Lilies. They also produce large volumes of Poinsettias for the Christmas season. We are always looking to cooperate with other UK growers to expand their production; if there is a product that you think would be of interest to add to our range they would love to hear from you. Magical hydrangeas really do perform magic. The voluminous flowers change colour three to four times during the course of a single year, resulting in a spectacular garden display. The ‘magical’ Farmer’s hydrangea has strong branches that help keep the garden plant from drooping during heavy or lengthy showers. Above all, the hydrangea is a beautiful plant, ideal for both new and seasoned gardeners. Hydrangeas with the Magical label are carefully selected and grown especially for you. Besides the colour-changing characteristic, the plant’s long vase life is a perceptible asset. The sturdy stems hold sturdy flowers that can withstand rain and hold their looks, even in bright sunlight. On top of all that, they continue to bloom long into the autumn! Home Grown is also grateful for the generous support of Moorland Garden Centre and Park Nurseries, both of Knaresborough in the build up of the stand as well as Syngenta Floripro Services Ltd., breeders of Imara Impatiens.